The UAE is poised to take its biggest step yet in the race to tap the global Islamic finance industry. The nation plans to set up a federal Shariah board by the end of the third quarter, according to Khalid Bin Abdul Aziz Al Janahi, adviser at the Dubai Islamic Economy Development Centre. The board, comprised of scholars that pass religious decrees on whether a financial product conforms with Islamic tenets such as a ban on interest payments, will help meet the “huge need” to unify standards and contracts in the industry, he said. 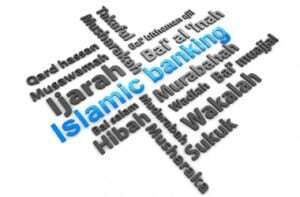 Malaysia, which has the biggest market for Islamic bonds in the world, established its board in 1997. The start of the body will be a boon to Dubai, which in 2013 announced its ambition to become global capital of the Islamic economy. Countries from the UK to Hong Kong to Luxembourg are vying for a slice of an industry that has almost doubled in five years to $1.8 trillion, according to Standard & Poor’s. “The Shariah board is one of our main initiatives, to be implemented between the second and third quarter,” Mr Al Janahi said in an interview in Dubai. The new centralised body will focus on regulating Shariah-compliant banks, takaful, or insurance, companies and Islamic windows at conventional lenders, he said. Institutions typically turn to their own Shariah scholars to determine if products comply with Islam’s principles. A central board may help overcome differences, Moody’s Investors Service said in November. Dubai plans to become the centre of Islamic finance, e-commerce, fashion and arts, education, tourism, standards and certification, and an export and re-export hub of halal food, the government announced in October 2013. It wanted to start a Shariah board in the first quarter of 2014. Competition in the Islamic segment is intensifying. The UK will provide export credit agency backing for a sukuk this year after becoming the first non-Muslim nation to sell sovereign sukuk in June. Luxembourg plans to sell its second sukuk in 2016, while Hong Kong raised $1 billion in a debut Islamic bond sale in September. The UAE’s share of global Islamic assets, and growth of its Shariah-compliant banks, have lagged behind Malaysia and Saudi Arabia, according to a report from Moody’s this month. Dubai has met “close to” 10 of 36 initiatives set out in its 2013 plan, Mr Al Janahi said. Neighbouring Oman held the first meeting of its Shariah board last week, according to the country’s central bank.